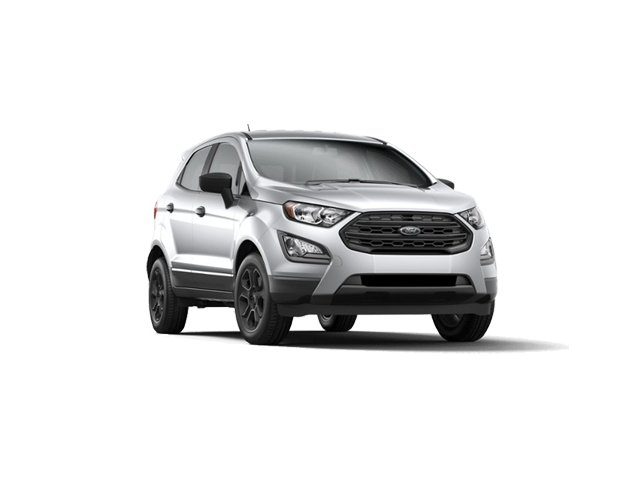 The new Ford EcoSport compact sports utility vehicle (SUV) delivers enhanced versatility and capability, more refined styling and sophisticated technologies, making the newcomer a more attractive proposition than ever before. Featuring fresh new exterior styling that is both dynamic and rugged, the latest EcoSport range also gains an entirely new, more upscale and user-centric interior that offers a superior occupant experience with floating central touchscreens on most models along with smart stowage solutions – including an adjustable boot floor. The front-end design is dominated by a large trapezoidal grille and distinctive angular headlights, incorporating stylish LED daytime running lights on the Trend and range-topping Titanium models. A sculpted bonnet with a central bulge delivers a cleaner front-end appearance, while the angular fog light housings complete a front three-quarter profile that was inspired by the straps of a rucksack and designed to reflect an adventurous character. The Ford EcoSport delivers a new level of interior refinement with easier to use controls and soft-touch materials, along with an entirely new instrument cluster and centre console ergonomically designed for easy operation with fewer buttons. A new centre console features a built-in folding, sliding armrest (Titanium models) with an integrated storage compartment that is ideal for tablet computers or snacks. Buyers will also enjoy the practicality of under-seat storage underneath the passenger seat (Titanium models). Power windows are provided all-round, enhancing comfort and convenience for all occupants. The new Ford EcoSport delivers an enhanced, more refined driving experience with reduced levels of noise, vibration and harshness. Ford’s multi-award-winning 1.0-litre EcoBoost petrol engine takes centre stage in the revised line-up, exclusively powering the Trend and Titanium models. The six-time International Engine of the Year in the sub-1.0-litre category delivers an exceptional combination of performance and fuel efficiency, and is ideally suited to the EcoSport. It produces an impressive 92kW of power matched to a peak torque output of 170Nm all the way from 1 400 to 4 500 r/min. The frugal yet torquey 1.5-litre TDCi turbodiesel engine remains part of the line-up, offered in Ambiente trim, linked to a five-speed manual gearbox. It delivers 74kW and a substantial 205Nm of torque between 1 750 and 3 250 r/min. *TERMS AND CONDITIONS APPLY. IMAGES USED ARE FOR DISPLAY PURPOSES ONLY AND MAY NOT REFLECT THE EXACT VEHICLE SPECIFICATION. PLEASE ENQUIRE WITH THE SALES EXECUTIVE.